Over the years, Aquila Private Game Reserve has gone to massive efforts and expense to source and re-introduce wildlife into the Cape region so that local residents and visitors alike can benefit from same and we are therefore proud to offer our visitors an opportunity to experience a Big 5 safari. Aquila Private Game Reserve is situated under two hours drive from the city. 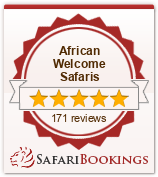 A big 5 Game Reserve close to Cape Town, it is an ultimate African safari getaway. Aquila Game Reserve Cape Town gives guests the chance to encounter Africa’s legends of the wild. Daily transfers to Aquila can be arranged for those not staying at the reserve. Day drive safaris are two to three hours long. Safaris are available for evening and early morning game viewing. For the adventure seeker, guests can replace the horse with a quad bike. The 2 to 3 hour safari departs at 09:00. The safari is lead by an experienced guide, who will share inside-story facts about your surroundings – easily rousing your inner wild side. The Cape Town safari day tour includes visits to ancient rock art sites, lunch under the boma, and cool off dips at one of two swimming pools. All safaris are in an open 4 x 4 safari vehicle. 09h00: Welcome drink on arrival served in the reception area. 12h15: Buffet lunch After lunch guests are able to relax at the pool and are welcome to browse our African curio shop.